I wrote this for the employee newsletter at work. The intended audience was the sales team, or loan officers. But really, this goes for anyone with an email list. In fact, I recently ran across an annoyance with this personally. 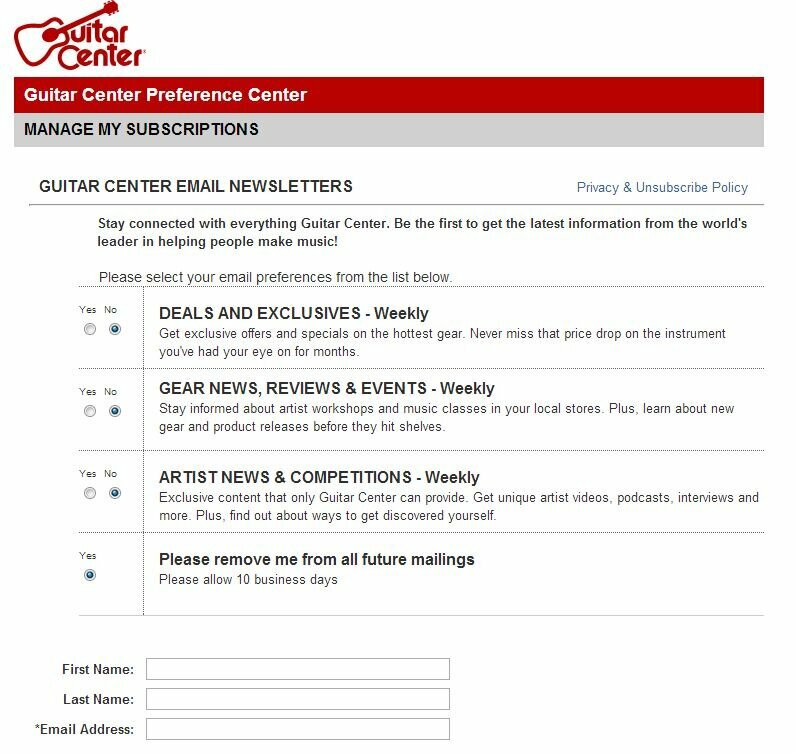 I signed up with Guitar Center to get a coupon for a purchase. It took 5 minutes. But when I decided to opt-out (I have no more need to get their emails) the landing page informed it would take up to 10 days to unsubscribe. How does that work? I’m still getting emails (it’s been less than 10 days but it’s still annoying and spammy) even though I unsubscribed. Of course I did what any reasonable adult would do…I complained on Twitter. I even tagged their official Twitter page @guitarcenter. @CourtneySGC responded, but missed the point. I’m glad they’re monitoring social media but the point is that 10 days of spam after I unsubscribe will annoy me and probably make me report you as spam. Let me unsubscribe for real, and as quickly as you let me subscribe. So let’s get to the difference between spam and bacn. For all of us who email clients and leads, we must be aware of the nuances between offering information and advice, and crossing the line into annoying. We’ve all heard the term spam. We even get it in our own email inboxes. 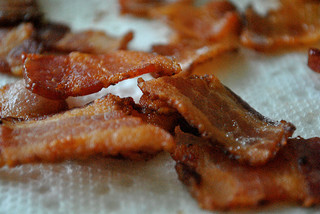 But have you heard the term “bacn?” It’s pronounced like the delicious breakfast treat bacon. But it refers to a specific category of email. The term bacn was coined in 2007 to convey the idea of email that’s better than spam but just shy of personal correspondence. Bacn is the email category that many of us fall into professionally. If you’re an LO who emails her clients on a weekly basis, you’re sending bacn. If you’re an LO who has an email client that automatically emails his clients with housing market updates and home buying tips, then you’re a bacn pusher. Other examples include restaurants that send out weekly menu updates or coupons, and periodic updates from online stores where you’re shopped. Bacn crosses the line into spam when the recipient unsubscribes from your list and still gets email from you. Not only is it annoying, but it’s illegal. The CAN-SPAM act has very specific guidelines much like the do-not-call list. Make sure the person getting your email has opted-in and wants to hear from you. Once they decide to unsubscribe, make sure they’re gone from your list. Now, don’t be afraid to email the people in your database often. Research shows that people don’t unsubscribe until they’re getting email in the ridiculous range. I’m talking once a day if all they want is a newsletter, or every hour when they’re expecting a daily email. Make sure you set the expectations and follow them. If you say you’ll email weekly, don’t switch to daily. But if you say you’ll email daily, then feel free to email daily, even adding the occasional “newsletter wrap-up” at the end of the month. What do you say? Is there a difference between spam and bacn? If you sign up to hear from a business, can they become spammy? Leave me a comment below. This entry was posted in inbound marketing and tagged bacn, email marketing, spam on February 11, 2013 by danmoyle.